I've tried many play dough recipes over the years and this one is, by far, the best yet. 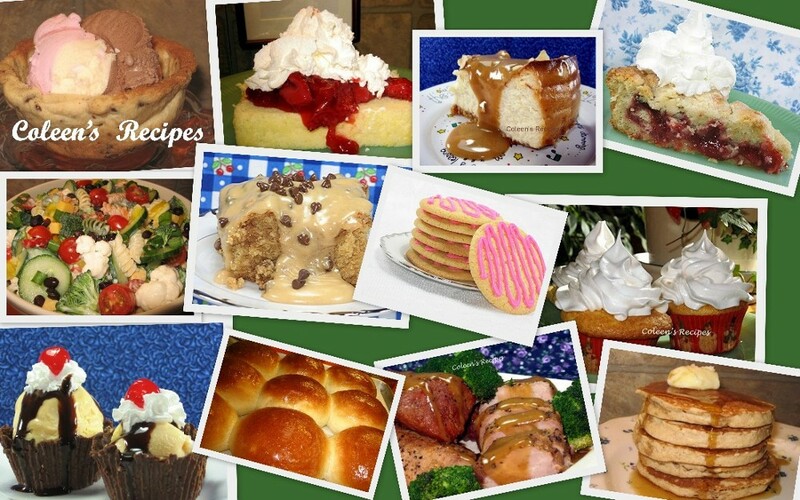 It is made with common pantry items and is ready to play with, literally, in a few minutes!! It's soft, pliable and super easy to work with. When the kids are done with it,keep it in an airtight container in the fridge. Put everything in a large, heavy bottomed, sauce pan and cook (stirring) on medium high until this comes away from the sides of the pan and thickens to the consistency of Play Doh (it just takes a couple minutes). Make sure you have a very sturdy wooden spoon to stir this with and it takes a little elbow power at the very end. Remove the cooked dough from the sauce pan and knead it for a minute or so until it becomes smooth. I did this kneading stage with my stand mixer which cooled the dough down almost immediately (a good thing). 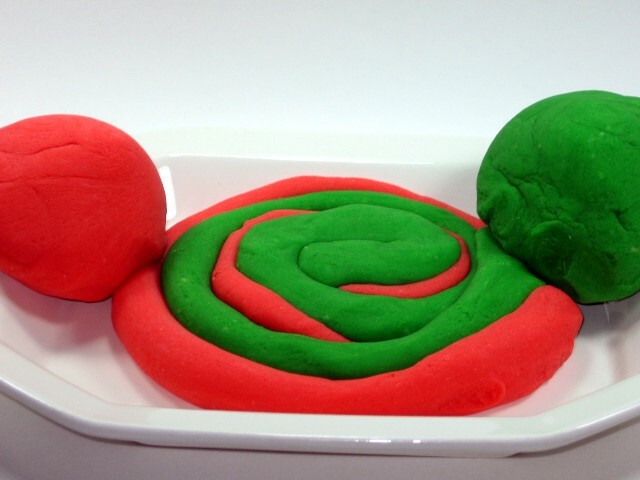 If you want the play dough to be all the same color, add the food coloring with the water before cooking. I wanted to try two colors, so I divided the cooked dough in half and put half in my stand mixer (for the kneading step) and I added food color paste to the dough while the machine was kneading the dough (this step can be done by hand, but I would suggest you use rubber gloves so you don't get green fingernails). My one concern with using the concentrated food color paste was that it would come off on my hands when I "played" with the final product...it did not!! This is a great weekend project for the kids!! NOTE: The colors in this photo were obtained by using Wilton frosting color paste, which is very concentrated color. You can use ANY food coloring that you like (or NO food coloring). I used to make play dough for my children and g'children, I loved playing with it as much as they did! Great and great colours too. I am going to forward this to a friend of mine! I've been searching for THE play dough recipe for years. I am so giving this one a try! This sounds like so much fun, especially making it any color you'd like. Fun idea !! I may have to make this for the boy I nanny for. He loves playdoh but he gets it all dirty then forgets about it outside and it dries up and gets crumbly. The homemade version may be the way to go! Thank you for sharing, Coleen. Never try or don't even know how to make Play Dough before. So happy to see your post here. I used to make this as a kid, but your concentrated food color makes it soooooo much cooler!! Oh yeah, project time! You are the coolest Grandma ever. Oh how awesome ! Thanks so much Coleen...can't wait to give it a try tomorrow with my girl... How much fun ! Beautiful colors. I love play dough. I have made many gallons of the stuff in my 31 years of teaching. Everyone loves play dough. Thanks. I used to LOVE Play Dough when I was a kid. My grandmother used to buy me all the colors and then she'd try to each me how to mold shapes with it. Lots of nice memories. This is a wonderful project to expand minds and creativity. LOVE this post! Ha - I just passed on buying clearanced playdoh thinking I would make home-made, and here it is! I have heard of mixing in a package of koolaid for coloring - what do you think of that in this recipe? I've done this before! It's almost as fun to make as it is to play with. Your colors are so vivid. I bet your grandchildren loved it! I can't remember where I put my recipe...thanks for posting this! Love it. I'm making this tomorrow. Just made play dough for the first time and it was awesome! I quartered the amounts and made 6 different colors. The kids had a blast. Thanks a ton!